Converted farm building offering approximately 543 sq ft of first floor office/storage or craft workshop accommodation. The unit is carpeted and will include a kitchenette and wc. The property is accessed via an external staircase. The property is situated on an established rural site close to the village of Clare approximately 10 miles by car from Sudbury and approximately 18 miles from Bury St Edmunds. 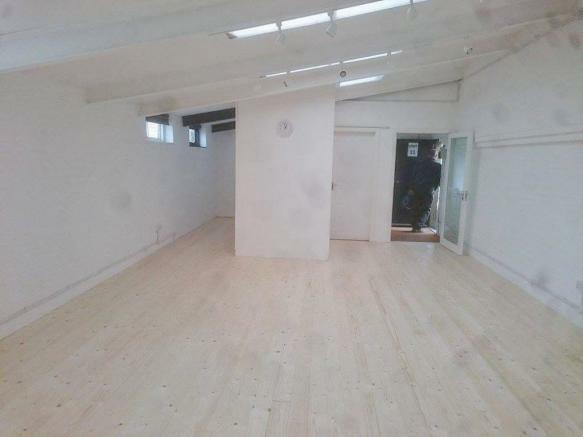 There is an adjoining area of approximately 870 sq ft which is also available at a rental of £250 pcm if required. The accommodation measures approximately 543 sq ft. Lighting and electricity are connected. The electricity is metered and billed by the landlord. The property has a kitchenette and toilet facilities. Property reference 3066. The information displayed about this property comprises a property advertisement. Rightmove.co.uk makes no warranty as to the accuracy or completeness of the advertisement or any linked or associated information, and Rightmove has no control over the content. This property advertisement does not constitute property particulars. The information is provided and maintained by Whirledge and Nott, Commercial.